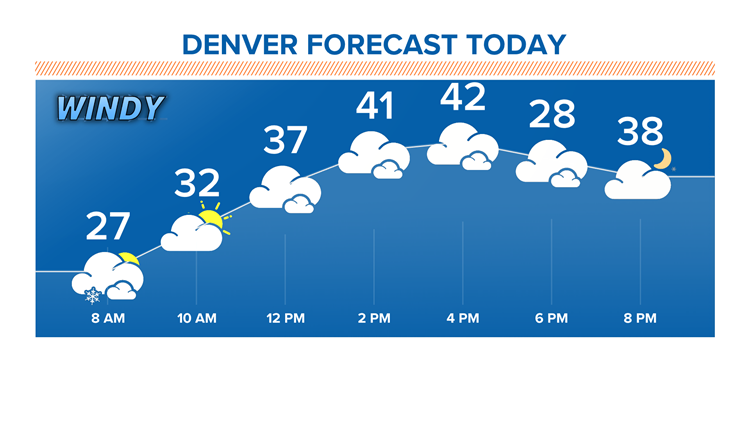 Most of the snow has fallen for the Front Range with some clearing during the day. Gusty wind will continue over the plains most of the day Thursday. DENVER — A powerful winter storm is moving across Colorado. A blizzard warning is in effect for the eastern portion of the state until noon Thursday. A blizzard is a storm with snowfall, high winds and extremely low visibility. The winter storm system impacting Colorado is also a bomb cyclone because of the pressure drop confirmed in northeast Kansas around 12:45 p.m. Single digit wind chills greeted us early Thursday morning. 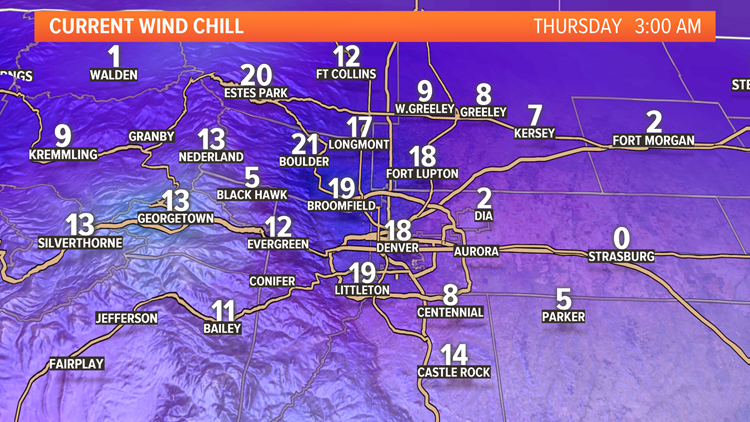 Single digit wind chills greeted us early Thursday morning. 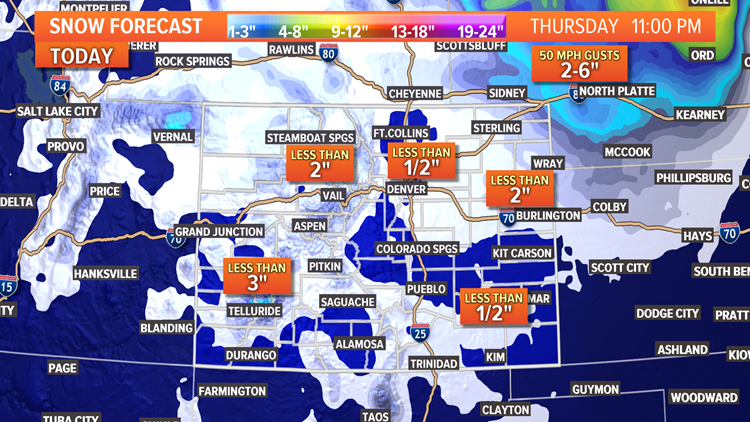 Snow wraps us early in the day with little to no additional accumulation Thursday There will be slightly higher amounts of snow on the plains with really gusty winds Thursday afternoon. 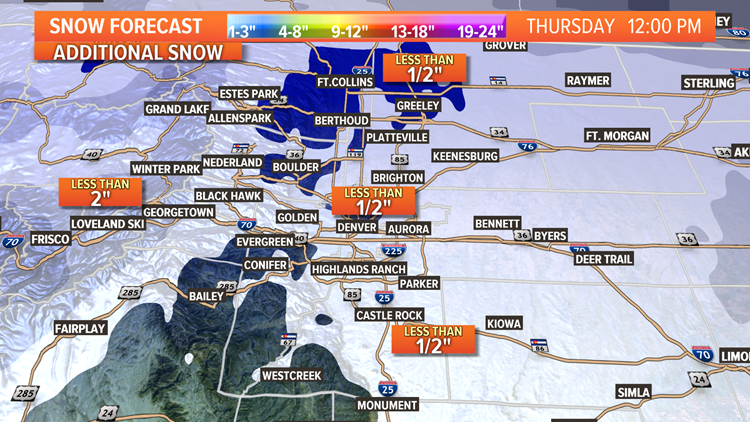 Total snow accumulation is expected to be between 2-4 inches in the metro area. Some portions of far northeastern Colorado and the High Country north of Aspen may see heavier snow, and the Eastern Plains are likely to see drifts up to 4-8 inches. 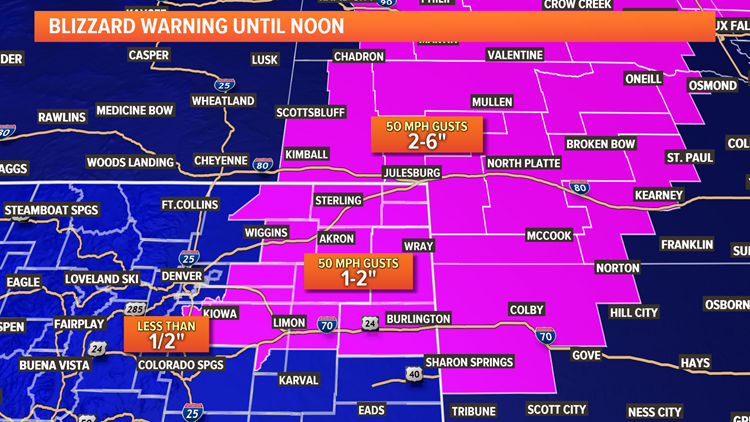 Due to the strong wind and terrible visibility, the blizzard warnings will continue on the plains through noon Thursday. We'll have some clearing during the day Thursday as the winds calm down. 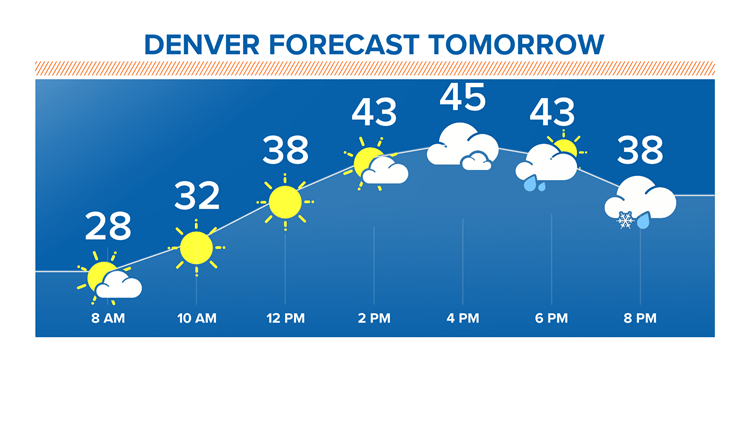 After a dry start Friday, some light rain and snow showers are expected in the afternoon and evening.